Each Fair Queen contestant will be judged on poise, appearance, ability to communicate, and knowledge of the Sullivan County Fair. A written essay is required with all queen candidate applications. Once again this year’s essay title is “What my Fair Means to my Community”. The essay is to approximately 300 words in length for Senior. 150 words for Junior and 30 words for Little Miss. Don’t forget that the Sullivan County Fair is an agricultural fair. 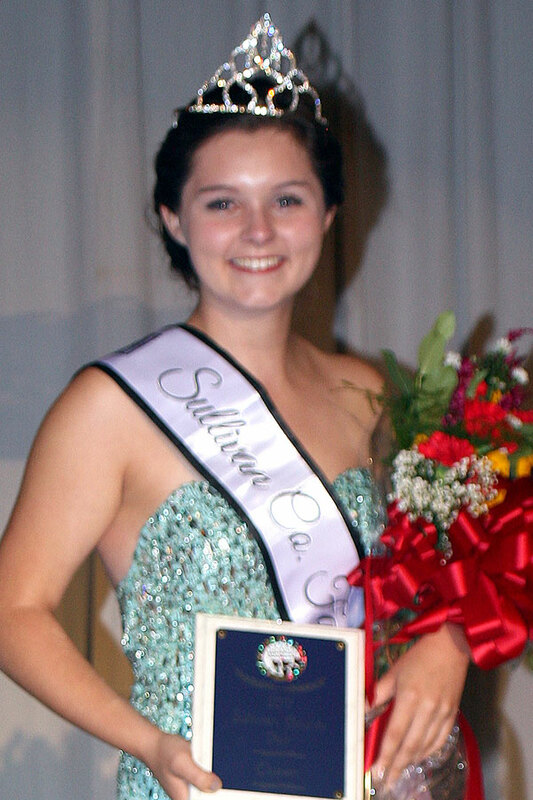 The purpose of the Sullivan County Fair Queen program is to encourage the promotion of agricultural fairs and to create better relations between youth and adults in Sullivan County. The essay may be hand written in black or blue ink or typed on a word processor or computer. Use good grammar and be neat. The winner of the pageant will be given a scholarship in the amount of $250.00, and is eligible to attend a trip to the State Fair Convention. The winner of the State Pageant will receive a $1,500.00 scholarship. You can also email your application, photo and essay to ksgood88@hotmail.com. Your picture will be used in the local paper and the application and essay will be used in the judging process. All applications and essays must be received by August 5, 2018. She must be single, never married, have had no children, and must not marry nor get pregnant during her reign. Little Miss is required to have a parent or guardian with them during fair events. Only 2 half days of the parent’s choosing are necessary. Each contestant must write an essay (300 words for Senior, 150 for Junior. and 30 words for Little Miss) entitled “What my Fair Means to my Community”.